The Cheetoh Breed is a hybrid of the Bengal and Ocicat, First designed by Carol Drymon at the Windhaven cattery in America who has worked to create this beautiful breed by choosing particular blood lines. The two boys I've imported from Windhaven arrived in Australia after 6months in country quarantine and then another 10 days in Aust, I picked them up end of Feb 2015 and now they have settled in. Benny has already clamed his Kingdome being bold and rambunctious. Orrie is a lot quitter and more of a sweet smoocher. Benny will be out crossed with my Bengal queen Odette for the first litter's of Cheetoh kits, and then to Prin my Ocicat Queen. 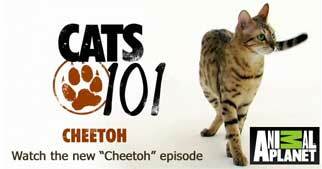 If you would like to be added to the waiting list of cheetoh kits please email me for more information. This cat is substantially different from both the Bengal and the Ocicat in that it has been consistently larger than the foundation Ocicat or Bengal parents. Weights range from 15-23lbs (6-10Kg) for the males and up to 15 lbs(6Kg) for the females. Many have asked why would they be larger than the parents, and the only way to answer this without having a genetics degree is to perhaps look at the Liger. The Liger is a cross between a Lion and a Tiger and the offspring are much larger when compared to the parents. Because of the uniqueness of the jungle linage, the size attributes and the awesome puppy like personality. The average price for a quality marked registered Cheetoh is $800USD. (In Australia $900-$1500) If the cat has exceptional show quality markings sometimes the price is higher and cats with less pronounced color or markings sell for less. Also at times older kittens or retired Cheetohs that would given a new home for a much lesser price.